Add the water and milk to a pot and bring it to a boil. Stir in the oats and salt and reduce the heat to a simmer. Cover and cook, stirring occasionally, until the oats are tender and creamy, about 15-20 minutes. Add in the vanilla, half of the maple, and half of the butter. 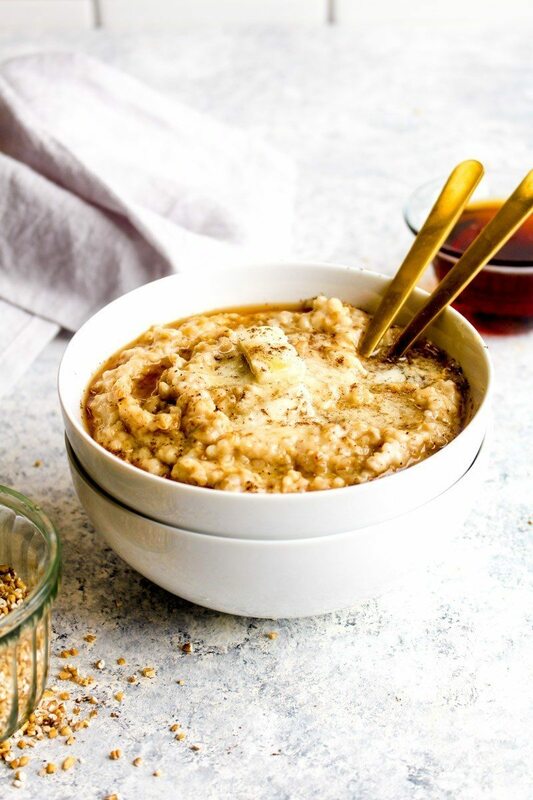 Spoon the oatmeal into bowls and top with the remaining butter and maple. Serve immediately.